These blueberry loaded, amazingly fluffy gluten free muffins are so easy to make! I've been slacking the past few weeks when it comes to Gluten and so I've had to battle the bloat that little bit harder the past few days, which has been unpleasant to say the least. Gluten is one of my worst triggers and I tend to consume it in very small portions to avoid abdominal pain, nausea and bloating. All you IBSers know what I'm talking about. So, I'm starting a new week as I mean to go on with these Gluten free, Egg free Blueberry muffins. We have lots of blueberries in the fridge so I might as well put them to good use. These muffins are soft and tender on the inside, nutritious & 100% drool worthy. 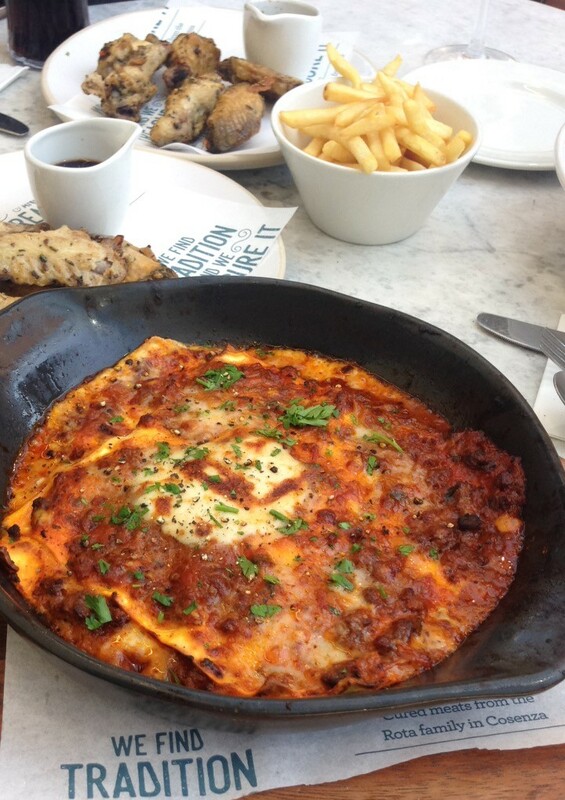 And the best tasting, most reasonably priced Classic Lasagna award goes to Bella Italia! Located in the centre of Cardiff, Bella Italia offers great food at reasonable prices. Here's one that won't break your bank. 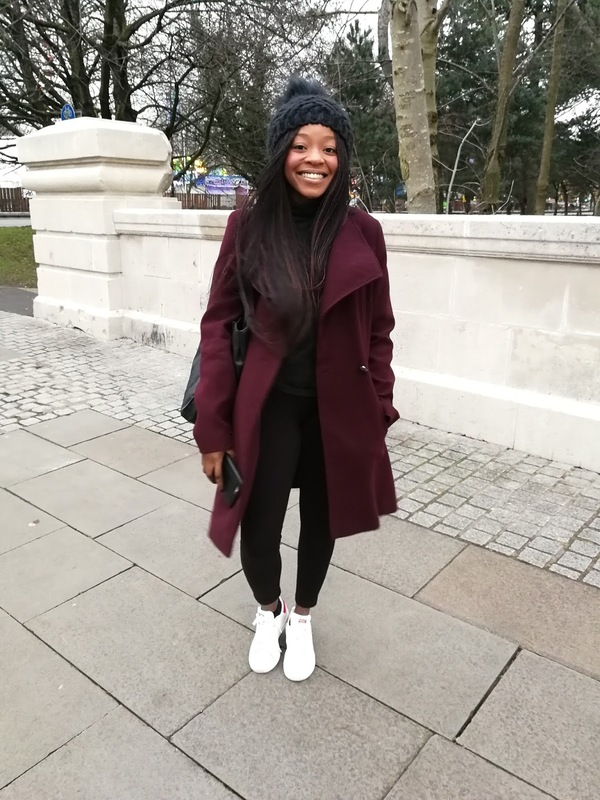 The restaurant is just a stone throw away from St Davids shopping center and is located within close proximity to a variety of coffee shops, bars and cinemas. Their menu offers a wide array of choice from pastas to pizzas as well as gluten free options, authentically Italian food. It's the perfect place to stop over for a quick bite before catching a movie with girls. I rarely ever eat lasagna and it's not because I don't like it but because its not exactly at the top of my food priority list. The main contributing factor for this is extra sogginess. I've tasted a fair few soggy lasagnas in my time, ones that can't stand up to portioning and as soon as you dip your fork in, they collapse into a soupy mess. Having had a little faith in Bella Italia, I dived right in. My lasagna was served piping hot and was absolutely delicious. 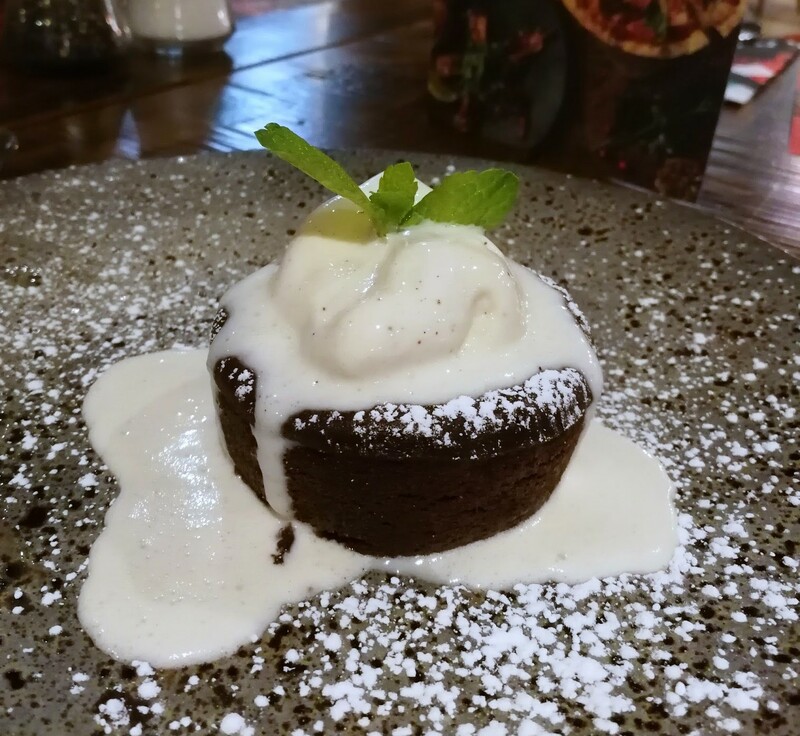 Even though the food was great, what made the meal was the staff, excellent customer service can go a long way and that is what truly made our day. This is truly a pleasant place to dine. Having submitted my first Dietetics assignment yesterday, I'm finally starting to feel like I'm getting into the swing of things. Even though my social life seems to be fading away, I'm thoroughly enjoying the course, taking in as much information as possible and getting to know new people. So, here's to me surviving my first month as a Dietetics student! Now lets focus on what's important, this Chicken and Sprout Stir Fry. I eat with my eyes before my mouth which is one of the main reasons why I make such colourful dishes; with the acceptance of my fondness for vegetables of course. This is super easy, effortless and quick to make. 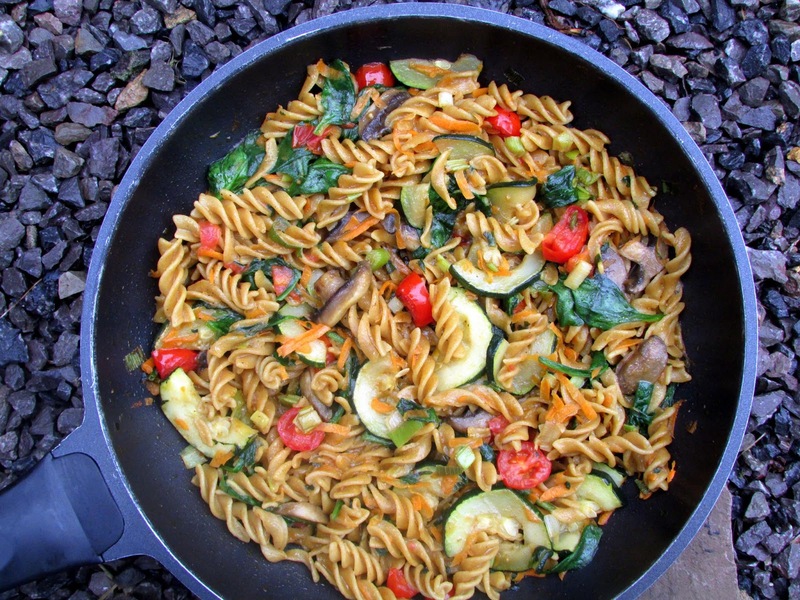 This stir fry is low in saturated fats and sugars, with a medium amount of salt. The funny thing is there is actually no added salt used in this recipe, just herbs and spices. This just goes to show how unnecessary it is to add salt into food. I'm just a simple girl who likes easy, straight-forward recipes so when you're tired, stir-fry. Why not start by trying this one? When opened; a pleasant, strong scent fills the room and there is nothing I'd like more first thing in the morning. This is the only coffee I truly enjoy; my only bother is that the whole family including some of my friends love this coffee which means it vanishes rather quickly. Maybe I should consider writing up a very colourful 'do not touch' label. I am in no way, shape or form a coffee addict, in fact I hate coffee but it just so happens that this is the only one I can drink. Have you tasted it? It contains very few calories and so it can be enjoyed guilt free. 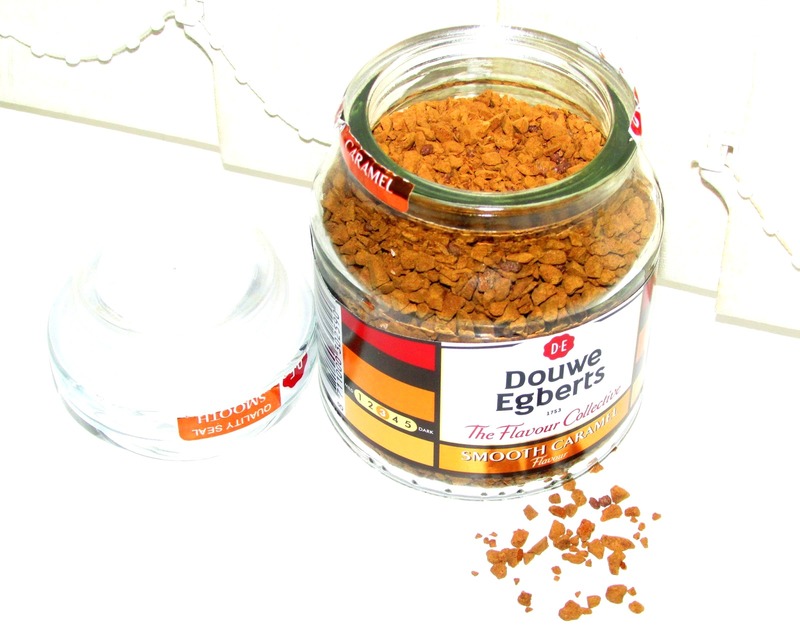 Douwe Egberts smooth caramel coffee tastes fantastic. With its warm, creamy flavour and gorgeous aroma, you'll be sure to keep going back for more.For instant coffee, Douwe Egberts' smooth caramel coffee is rather pricey but for the joy you endure from one sip, it is totally worth it. Strong flavour that's not overpowering, genius! The container is so cleverly designed that after your coffee is finished, you can rip off the label and use it for spices. How resourceful. A quick and easy way to get in essential Minerals and Vitamins is by whipping up this refreshing, filling Spinach and Cucumber Smoothie. Spinach is number one on my list of vital vegetables and this because it's high in Vitamins A, C and K, as well as B vitamins. Cucumbers on the other hand are an excellent source of vitamin K and Pantothenic acid. I presented pantothenic acid in bold to emphasise just how important it is. 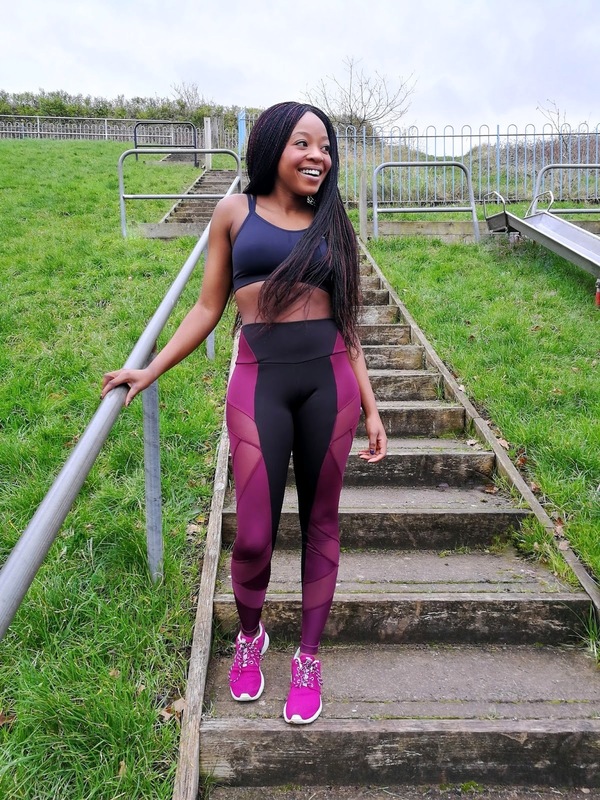 As well as playing a role in the break down of carbohydrates and fats for energy, pantothenic acid aids in the manufacture of red blood cells. Cucumbers are also a good source of copper, vitamin C, potassium, phosphorus, manganese, magnesium, biotin and Thiamine or Vitamin B1. This green nutrient powerhouse is one of the best ways to start off the day. However, juicing has a downside and it awakens the Dental Nurse in me, yes that's my day time job. Juicing is really bad for your teeth and this is due to the presence of Fructose in just about every fruit out there. The high acid content causes the enamel on your teeth to soften and erode and this often leads to the formation of cavities and tooth decay. 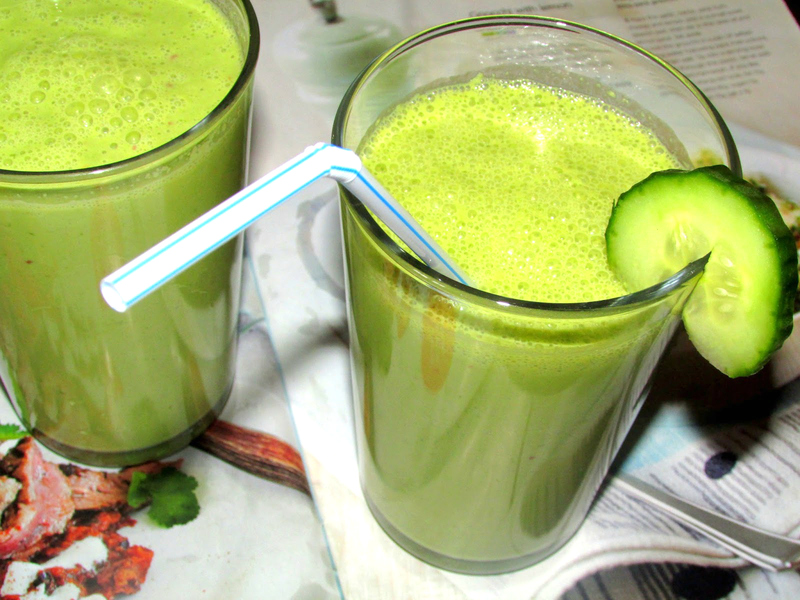 Top tip: use a straw to drink your green juices as this allows the acid to bypass your teeth. It's about creating a balance, that contact with your teeth can be detrimental. Wouldn't it be nice if every school in the UK offered a place for parents to receive advice, support and information that contributed to their well-being? The Aviva Community Fund which launched on the 12th of September can help make this possible. If there is a project in your local community that you are extremely passionate about, why not try and secure funding to put towards that important cause, following in the footsteps of Coedffranc Primary School. Over the last year, Coedffranc primary school has been running a family room after being awarded funding through the Aviva Community Fund in 2016. This buzzing hub of engagement, education and activity has become an important part of life for the entire school community and families. The funding helped the school to purchase everyday objects that help in the running of these classes making an extraordinary difference. So what exactly is the Family room? 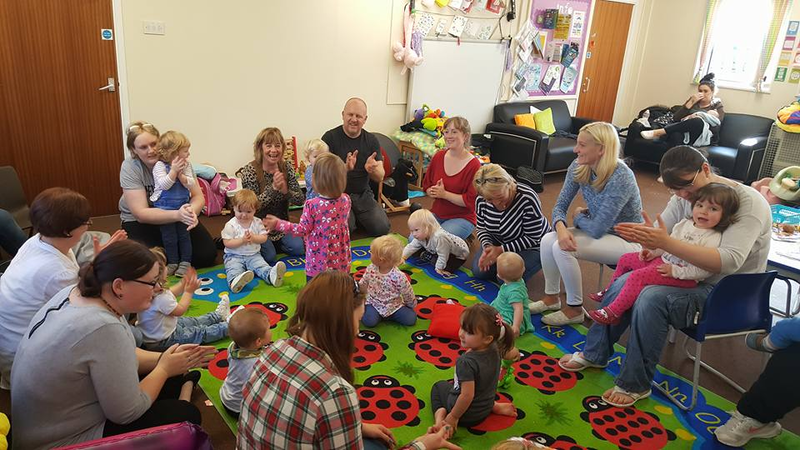 The family room is a free program run by members of staff providing a variety of courses including Cookery and Healthy Eating, Food Safety, Parent Nurture Programmes, Paediatric First Aid, Butterfly Project and Childcare Level one to parents and children. 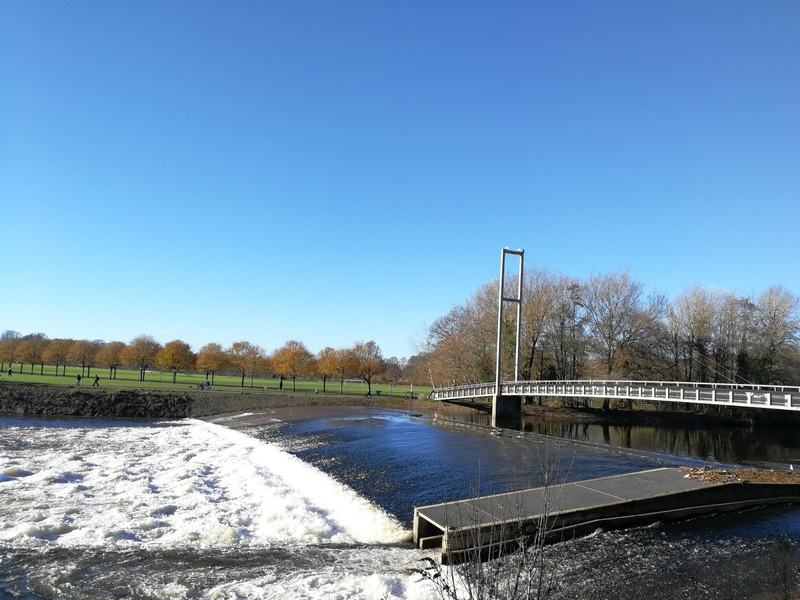 Even something as simple as Family learning together sessions are offered which gives the children and their families a chance to explore and grow together by visiting different places like Margam Park. These different courses are crucial to health, for example Food Safety. It is important for parents and children to understand how their behavior, hygiene and handling during food preparation affects the safety of their food as well as gaining confidence in the kitchen. These things may seem fairly obvious to some but when the education is there at your disposal, why not take it? We all know that we need to eat a balanced diet but how many of us actually know what that means? This is where Coedffranc Primary School's healthy eating classes come in. These classes allow children and their parents to put the nutrition education they learn in class to the test in real life situations. This also encourages the children to make better food choices as they grow up and this education leads far beyond the classroom. Who loves breakfast? I do! In today's society, a lot of people tend to skip breakfast because of their busy lives, time doesn't seem to be on anyone's side. Still, I believe breakfast should not be skipped. 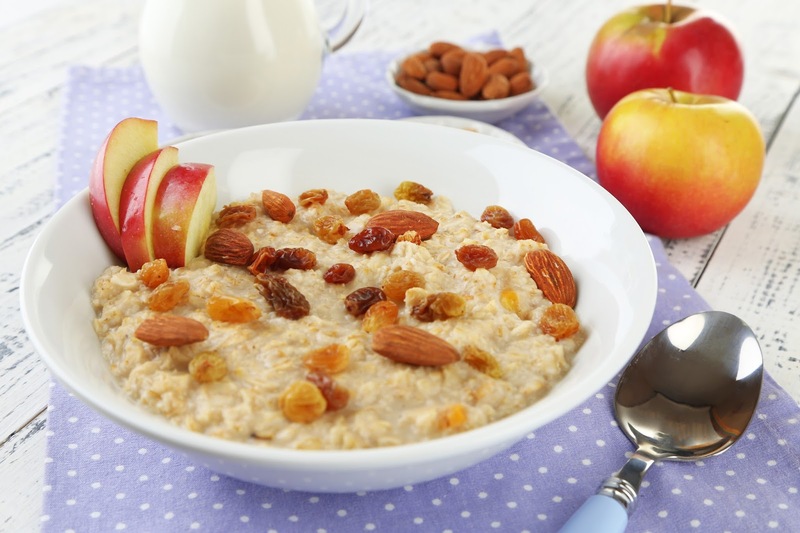 When you have breakfast, it will keep you going until lunchtime and you are less likely to snack on those good looking biscuits stirring at you from the corner of the office. The EatWell guide was updated this year and it shows the different types of foods and drinks we should consume as well as the proportions so as to have a healthy, balanced diet. Maybe print out a copy and stick it on your fridge. Its a great way for the whole family to get acquainted with The EatWell guide. Anyway, I've gotten extremely fond of Rye Bread lately and so I've been getting experimental as always. Sweet and Savoury is my favourite breakfast combination ans so today, these two little numbers are gracing my plate. Simple and quick to prepare, not to mention nutritious, these can easily become a grab & a go breakfast. A couple of weeks back I was contacted by the great team at Taymount Clinic, the world’s first faecal microbiota transplant clinic and experts in digestive health. 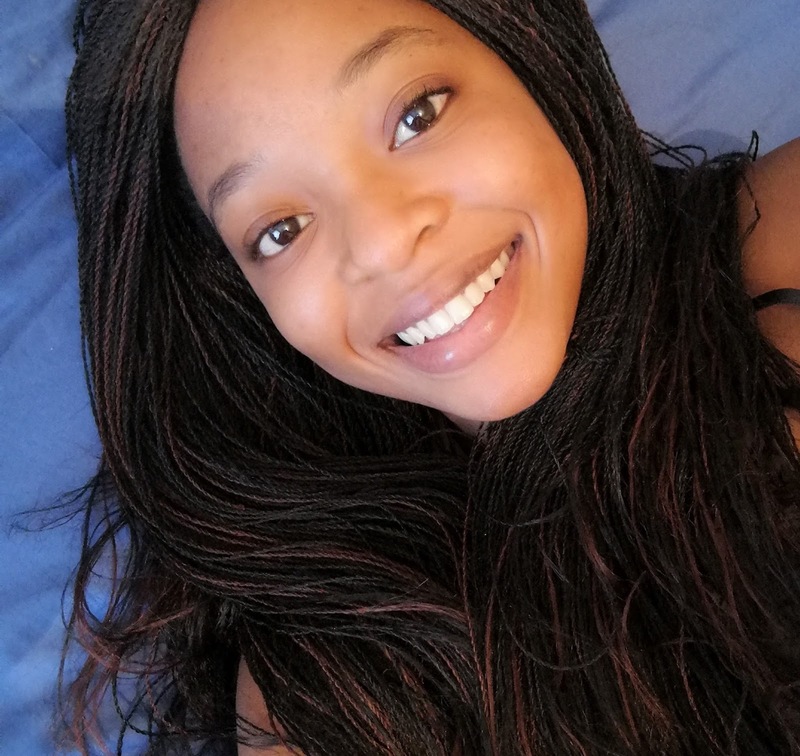 They challenged me to eat 50 different foods in 7 days and this is mainly because The Taymount Clinic recommend that to maintain diversity in your gut, you also need to have diversity in your diet. Of course, I jumped at the chance to learn more about my own gut health, I received a chart to record all the foods consumed during the 7 days. Doesn't sound like much of a challenge right? Wrong. Duplicates were not allowed, so things like buns, pizza, bagels etc did not count as different things; you guessed it, they are all wheat. That for me is what made the challenge tricky but on the bright side, oils, spices, vinegars and spices did count as individuals. I have never appreciated my love for spices and herbs as well as my kitchen cupboard more than I have the past 7 days. I was also sent a basket with different healthy foods to help get me on my way. 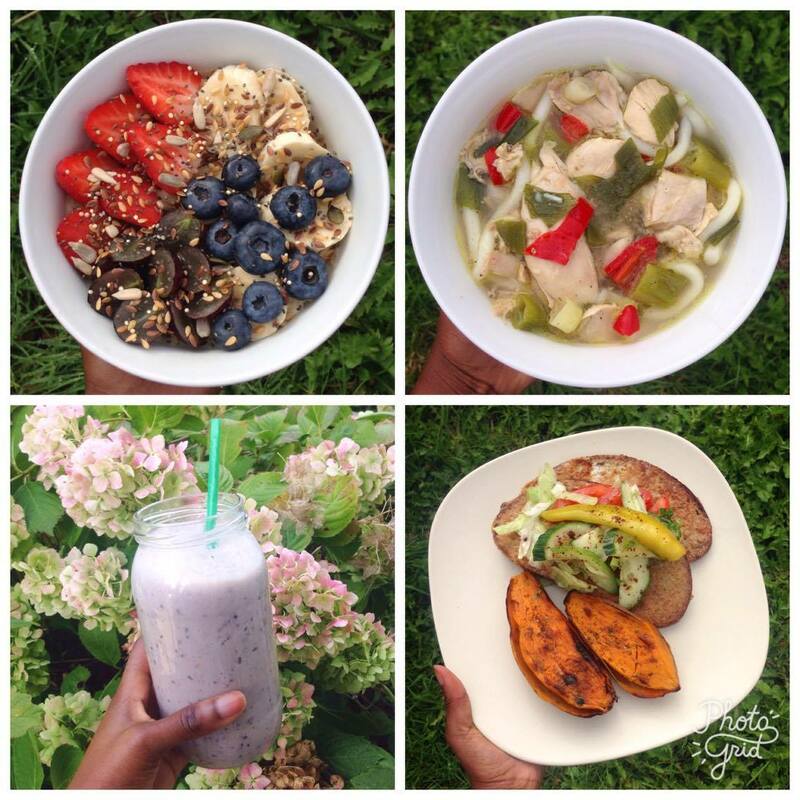 Being an IBS sufferer means planning ahead when it comes to your food, it also means you are already quite limited food wise so this was a really tough challenge to complete. However, I did manage to finish at a surprising 58 different foods in 7 days, if that's not impressive, I don't know what is. This regime worked well for me, my abdominal pain has lessened, bloating has pretty stopped and my stomach is feeling a lot more 'normal' than it has the past 8 years. I have learnt so much about my own gut and how diversity on the plate really does lead to diversity in the gut flora. 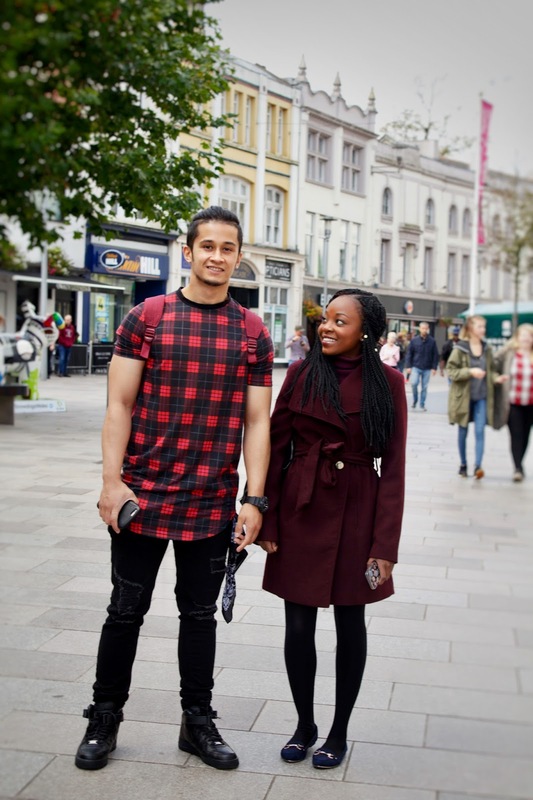 I was recently snapped sashaying around Cardiff City Centre by Style Wall, an independent online destination showcasing street style in South Wales. Wouldn't you agree that they captured such a gorgeous shot? I sure think so. The 22nd of September marked the autumnal equinox, which as you may have guessed officially marks the end of summer. I can't say I'm going to miss it as I'm very fond of autumn and winter. 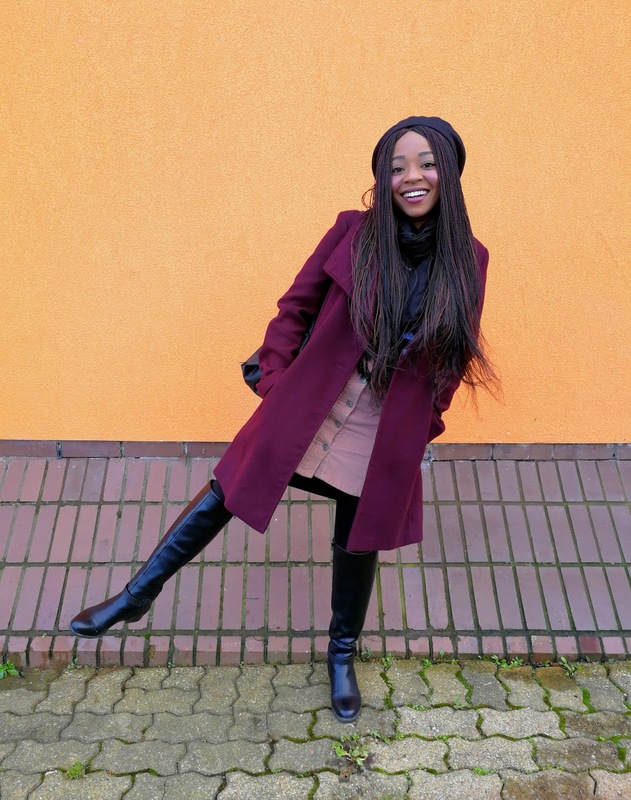 The fashion is so much better, I'm talking a whole new wardrobe; scarves, wooly jumpers, cute berets, structured coats. Also, the true beauty of nature shows during autumn, the colours are magnificent. Of course these two seasons are a great a excuse to indulge in hearty stews, soups, hotpots etc and drinks endless amounts of tea and hot chocolates. The season also brings with it a variety of new vegetables including butternut squash and pumpkins. Of course, pumpkins and Halloween go together; its a night we get to act like children again by dressing up, eating lots of sweets and watching spooky films, should I go on? Hello earthlings, yes, I survived my first week of University *woo*. I met lots of new people from all kinds of backgrounds and made some new friends. From university tours to meeting the team, I think I'm going to love being a Human Nutrition and Dietetics student. After all, this has always been the only career I can see myself having and truly enjoying. 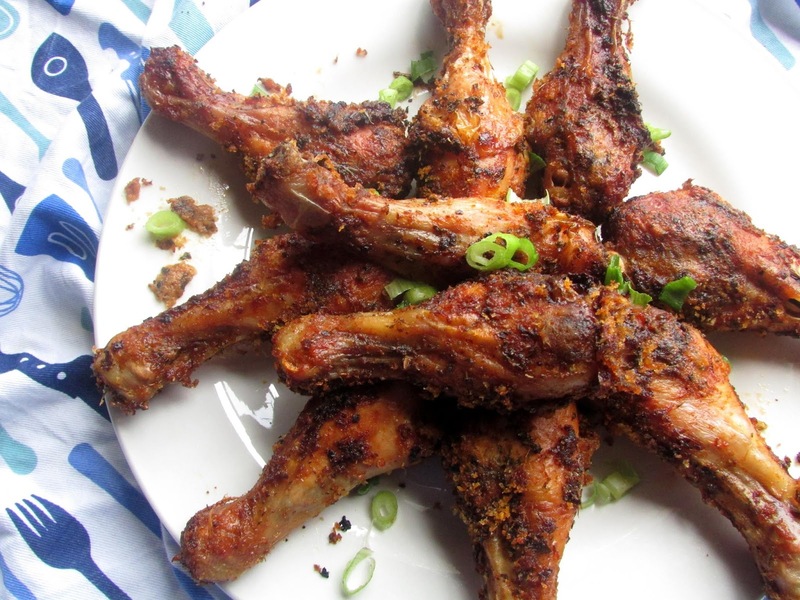 Last night I whipped up this batch of Crispy chilli chicken drumsticks which turned out to be quite a treat. All you need is eight minutes for preparation, lots of chilli and an appetite. Flavourful, crispy on the outside and juicy on the inside, the definition of a perfectly baked batch of drumsticks. Oh, did I mention it's gluten free and paleo. It's official, I'm a BSc Human Nutrition and Dietetics student *woo* and I'll be starting University in a week. I've wanted to do this for such a long time that sometimes I smile to myself just thinking about it. Who in this world doesn't want to build a career around their passion. Anyway, let's talk about this spinach and beef quinoa stir fry that's been giving me all kinds of feels. Spinach has become a staple in our house; we have it with pretty much everything and that's not only because of it's nutritional benefits. When spinach is cooked right, it makes one tasty side. It's also great to throw into stir fries adding some much needed colour. This is a tasty and simple stir fry that will have you coming back for seconds, a recipe that's purely a result of my cravings. 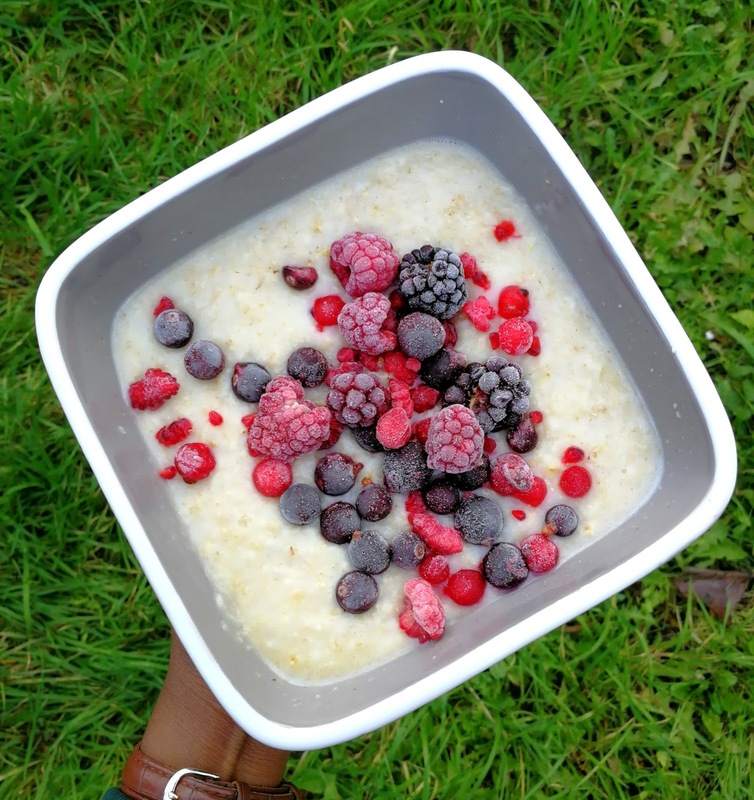 Not all my breakfast bowls make it to my blog but all do make it to my INSTAGRAM so why not give me a follow so you never have to miss a post again. We are half way through the week so good morning and happy Wednesday! I'm starting the day with this Blueberry and Apricot bowl. I had never tried apricot until a few days ago which is such a shame because I've definitely been missing out. Thanks to my food-loving boyfriend, I'm trying lots of different foods everyday, seafood included and we all know I've never really been a fan. The fruit kingdom is so vast and I won't rest until just about every single fruit in the world has been a topping in one of my bowls at least once. Challenge accepted! So what are the health benefit of apricots? Apart from being oh so sweet and oh so golden, apricots are packed with ample doses of essential vitamins, plenty of fiber, potassium and of course low fat content. Even though they contain both soluble and insoluble fiber, apricots are particularly rich in soluble fiber which helps maintain healthy cholesterol levels and blood glucose. Vitamin A which apricots are a great source of, is important for proper immune system function, normal vision and maintaining a healthy soft tissue, teeth and skin. Need I say more? Tasty, light and quick to make; it's fast food at its best. Oh how I love Udon noodles, their slightly chewy texture makes my taste buds tingle. That's always a good start when you know you've got a fussy palate. I make monthly trips to my local Asian grocery store, there's nothing more annoying than realising you've run out of a crucial ingredient half way through meal preparation. One staple I always have in my fridge is miso; it is basically fermented soy bean paste and is what makes miso soup flavourful. Feeling lazy? Why not make yourself this light Miso Soup, bacon is always optional. Next time I'm making it Vegan. As if I don't eat enough bananas as it is, I've only gone and made a snack that's completely centered around them. Whether you're using bananas that are past their best days or using fresh bananas, these lollies are a healthy, refreshing snack the kids are sure to love this summer. This is another way of getting them to eat more fruit. Let's not stop there, apart from me of I know a few adults that over-indulge in these delicious little numbers when that chocolate craving kicks in. But remember, once they are ready and out of the freezer, do not leave them standing too long as they start to 'sweat' very quickly. With how tasty they are, I guarantee they will be gone in a matter of minutes. It seems I'm turning into a bit of a breakfast criminal. 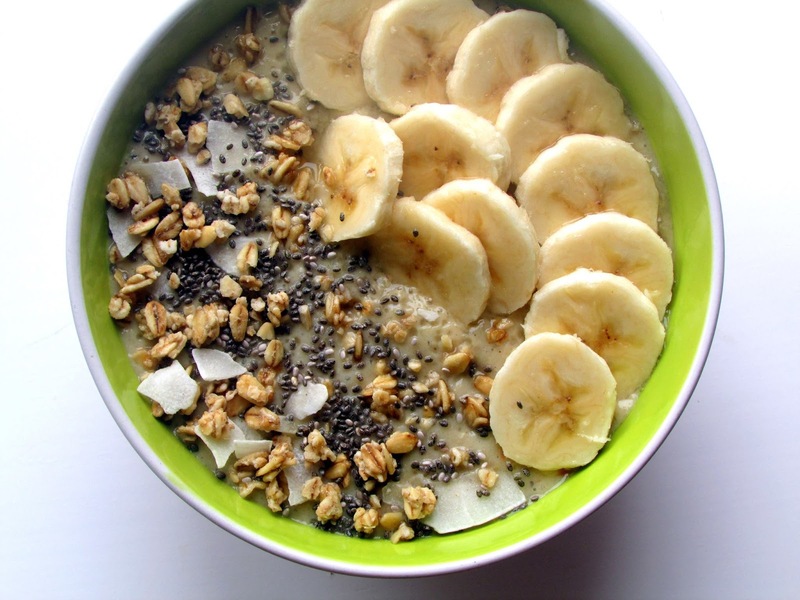 From smoothie bowls and eggs omelettes to endless Oats bowls; I'm cruising through life one bowl at time. We made it through another week so Happy Friday! This is probably one of the simplest breakfast bowls I've done in a long time; it seems I'm getting sucked into the wonderful world of cosmic breakfasts. Breakfast is undoubtedly my favourite meal of the day and it is also the most important. When done right, it provides the body and brain with fuel and should ideally be a good source of essential nutrients. This is the reason why I tend to go for oats (a good source of fiber) usually topped with fruit (good source of vitamins and minerals) and at times, I throw in chia seeds, nuts, dried fruits as well as good ol' peanut butter. It seems that a lot people automatically deem peanut butter 'unhealthy'. However, I feel that its the whole package of nutrients that truly matter when it comes to food. Some of the healthiest foods contain saturated fats just like peanut butter does but when you really look into it; peanut butter contains 80% unsaturated fats which means unsaturated fats only make up 20%. The health benefits offered by peanut butter far outweigh the mere 20% of saturated fats. 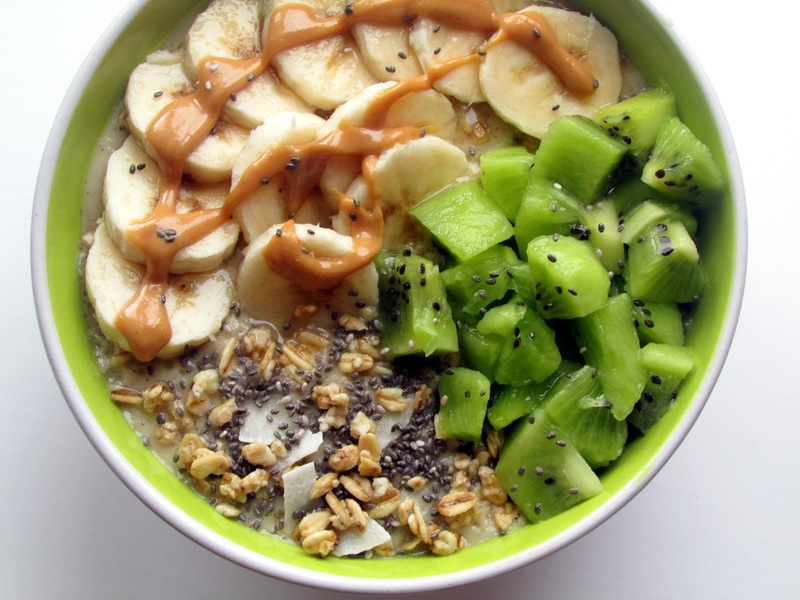 Peanut butter is also rich in fiber, some vitamins and minerals. And besides, I love it! We have become a species that overthinks all things nutrition; what happened to food being pleasurable? Surely just eating real food is enough. When I'm in a hurry and in need of a quick, tasty meal; Vermicelli noodles are such a great option. It's been a busy couple of days and so I'm bringing back the soups. I'm an avid fan of Asian food, the creativity and range of dishes offered is absolutely mind-boggling; they are simple dishes that almost always tastes fantastic, now that is something to be excited about. My personal favorites range from the simple Cantonese Yang Chow Fried Rice to the Hunan Steam Chili Fish Head; not forgetting Steamed Dumplings. Right, I got a little bit carried away there; now let's talk Fish Noodle Soup. 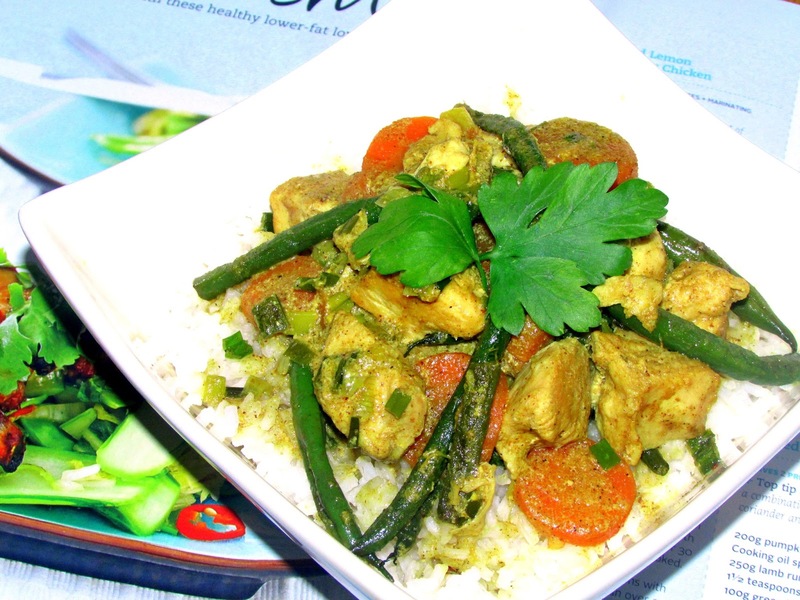 This Thai inspired dish is tasty, rather comforting and nutritious. 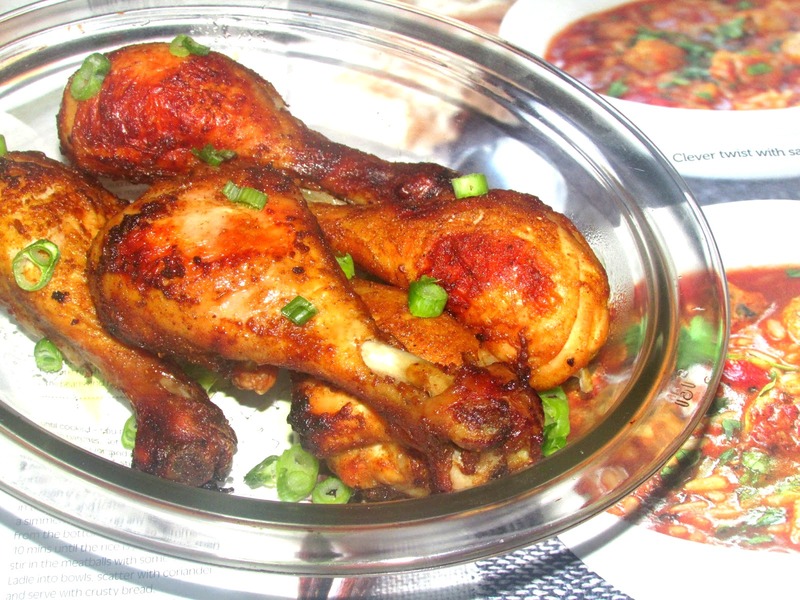 Seasoned with lots of spices, this is just perfect for any season and anytime of the day. Breakfast smoothies have been apart of my diet the past 4 years and ever since I started serving them in a bowl; they seem to taste even better. It's almost like having soup for breakfast. There's something so much more appealing about eating with a spoon than drinking the smoothie from a glass. The addition of toppings is the icing on cake; its satisfying and suddenly, the smoothie becomes so much more than just something you drink. 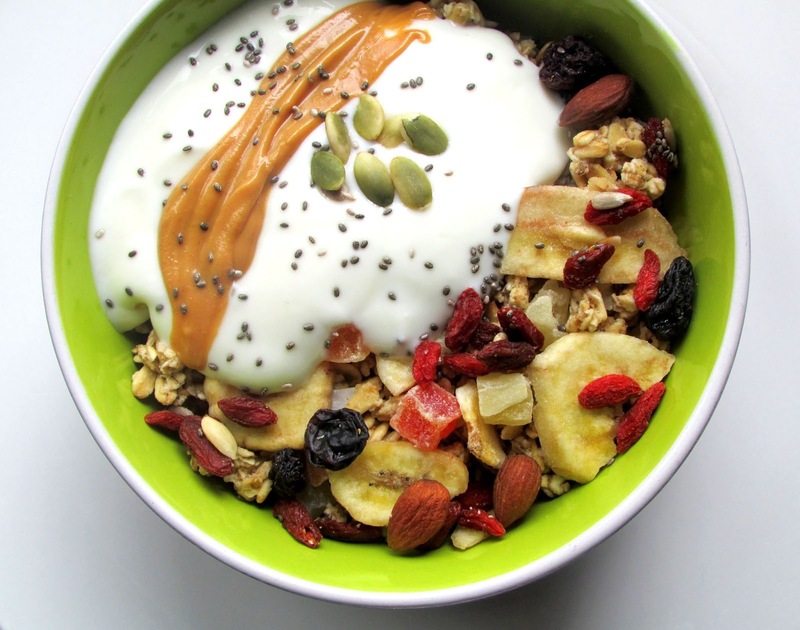 It becomes a truly filling, absolutely delicious breakfast bowl. If you follow me on Instagram, you'll know that I'm eating more smoothie bowls and experimenting with different flavours. The past 2 weeks have been all about Kiwis so lets get right to it. 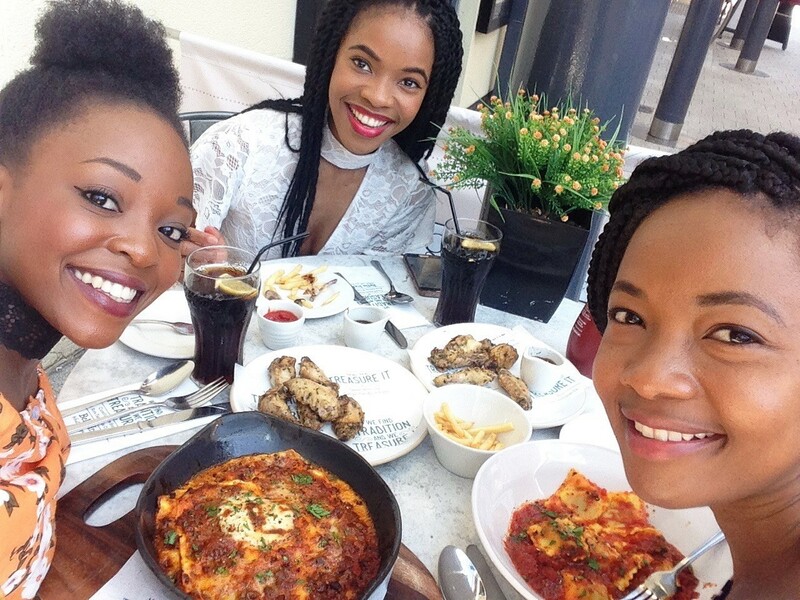 School's officially out for all and so we decided to head out for food to celebrate. Being the budding Scientists that we are, we decided to skip the usual steak for a change & go for a healthier option. Only one thing came to mind, Japanese food. They offer healthier, more nutritious options and so it was only inevitable we would end up at Tenkaichi Sushi and Noodle Bar. The authenticity of food from this independent, family run business differs greatly from that of a chain like Wagamama. Located at the bottom end of busy City road, it's the perfect place to kill time with good friends. We were greeted with a smile by the friendly staff and promptly seated. Just like the many other Japanese restaurants, Tenkaichi's interior decor is minimal consisting of bare walls, bright lighting and communal seating. This relaxed, informal seating can be uncomfortable if you're unlucky enough to be sitting in the middle. Having to get up numerous times for other guests to leave is rather unsettling. As for the food, you'll just have to read on to find out. Today has been a very special day; my other half graduated with a First Class Honours Master of Chemistry Degree! Words cannot describe how I love and am proud I am of this guy. I've been there during his time at university and I've seen his drive. I remember how we always resorted to having dates in Starbucks because he had research to complete or an exam to revise for, he's had numerous breakdowns and there were times when he just wanted to give up. Well, I'm ecstatic he didn't give up on his dream because look at what he can do. He worked tirelessly to achieve this outstanding degree classification and I couldn't be more excited for him to begin the next chapter of his life. Sometimes all you need is simple dish after a long day, one that is comforting and wholesome. I'm probably rice's biggest fan but unfortunately it's one of my triggers and so I've had to cut down. Yes you got me, I am cheating on rice with potatoes. Being faithful to just one staple food is proving rather challenging, after all, it is said that variety is the spice of life. I've been studying recipe books a lot lately, trying to put together my own recipes that are IBS friendly with lots of flavour. In case you haven't noticed, I've got a really fussy palate. 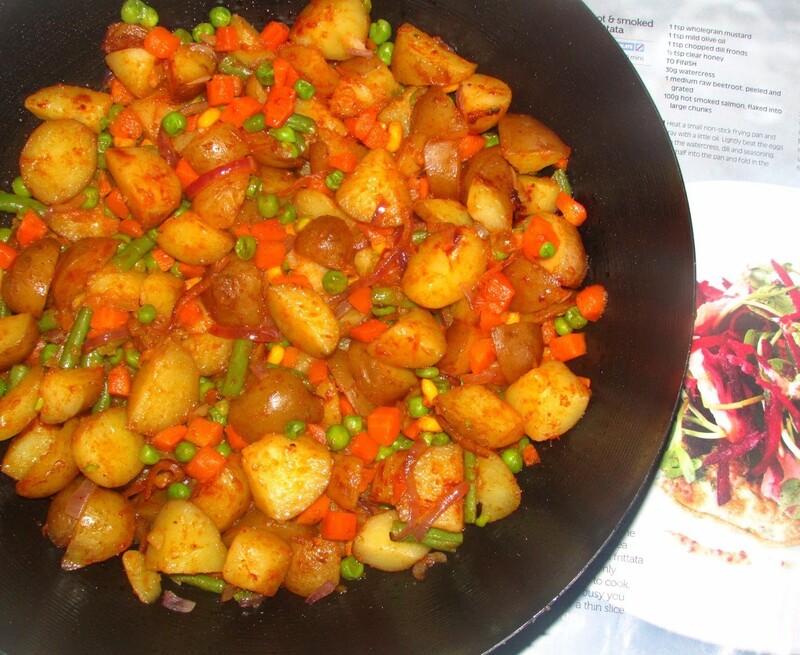 Potatoes are one of my favourite things to cook because of their versatility, a quick vegetable mash up. When you're happy; make a good Curry! I've only gone and made my very first Singaporean fish head curry, yes you just read fish head. Let's focus on the nutritional value of this dish for just a moment. 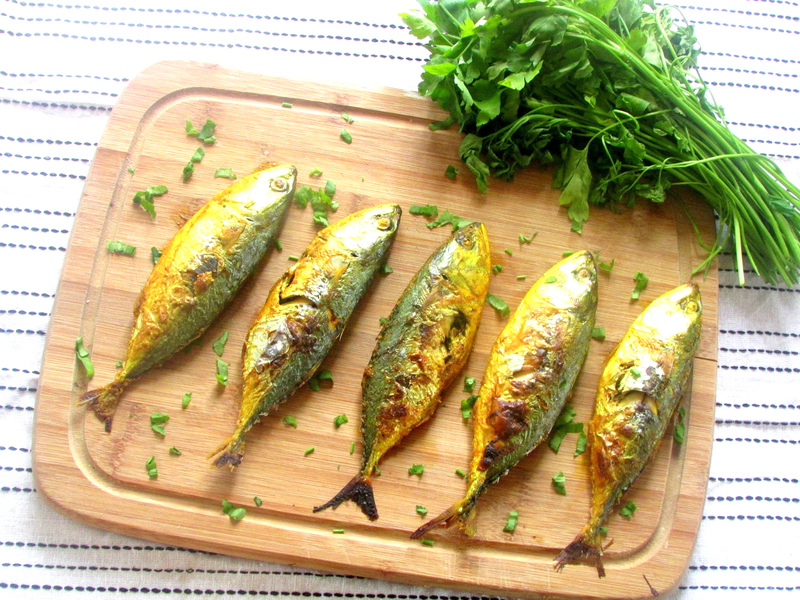 Fish offers high quality protein, omega-3 fatty acids and Vitamin D. Why do you need these nutrients? Protein is required by the body for repair and growth. Omega-3 fatty acids are not synthesised in the body, they can only be acquired from food. They are an important part of cell membranes throughout the body affecting the cell receptors. Just to name a few. omega-3 fatty acids regulate the contraction and relation of the artery walls as well as blood clotting; they are crucial! Vitamin D regulates calcium and phosphorous absorption in the body, it also helps maintain healthy teeth and bones. We wouldn't want those teeth falling out for no reason now would we? This is something I would've never tried a year ago but thanks to my Seafood obsessed boyfriend, I'm now open to trying out different foods at least once. I mean, what's the worst that could happen? I'm aware that the whole point of a curry is to also enjoy the soup that comes with it but unfortunately I'm not really a soup kind of girl and so my plate always consists of mainly solids. 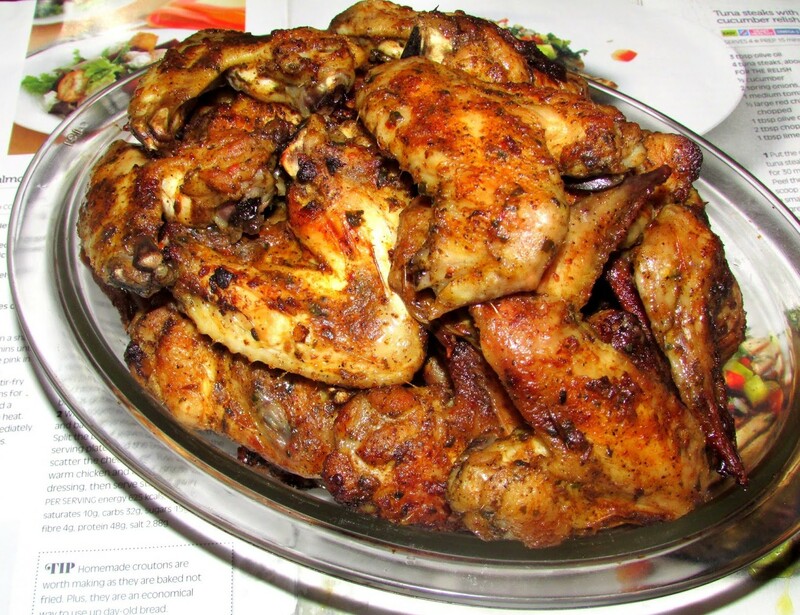 The recipe I used is so easy to follow and the flavours in this dish go so well together. It will be making a regular appearance, don't knock it until you try it.